Generasi Gemilang is an NGO that primarily focuses on working with underprivileged kids to give them a better outlook. They run several programmes throughout the year to achieve these objectives, including providing free breakfast, mentoring, setting up a fund for tertiary education and educating the children to be financially savvy. Malaysia has seen a decrease in dropout rates amongst primary and secondary schoolers since 2007. From 2014 to 2016, the average dropout rate for primary school pupils stood between 0.26% to 0.74% in Peninsular Malaysia. Even though these numbers are considered low, thousands of underprivileged Malaysian children are still falling behind on their studies. Most low-income families end up neglecting their children’s studies as they try to make ends meet. Sometimes, children are even pulled out of school to help earn extra income for the household. Generasi Gemilang (GG) is no stranger to this cause. They’ve been working over the years to tackle this very situation, and to stop pupils from dropping out. In true Malaysian spirit, “Generasi Gemilang” stands for “Glorious Generation” in Bahasa Malaysia. The name was the realisation and vision of Daniel Tan, GG’s Founder and Head of Executive Committee. “I believe that the future of the nation is only as good as the future of its next generation; and a generation is only as good as the virtues that define them,” Daniel told Jireh’s Hope. After coming across children of various ages who were are unable to find access to quality education, GG set out on a mission to provide them with opportunities. 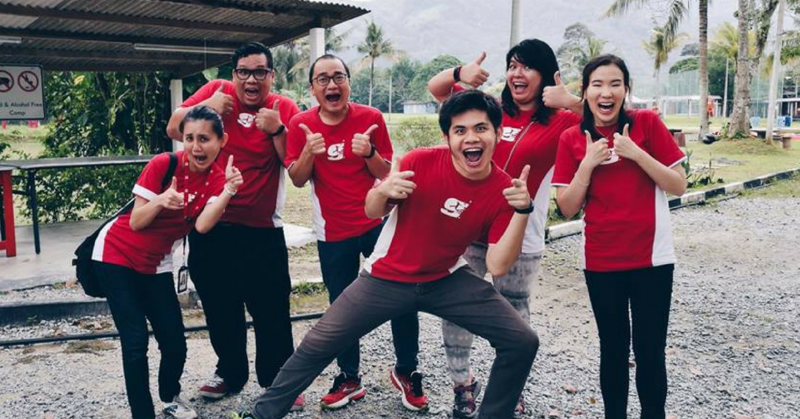 Here are 4 ways Generasi Gemilang impacts the lives of underprivileged kids, and helps set them on a better path. According to one of GG’s surveys, 83% of children from low-income households don’t have access to daily breakfast at home or at school. Unsurprisingly, 65% of them say that without breakfast they feel tired, hungry, have headaches and are unable to concentrate. GG launched an initiative called Super Sarapan where they partner with canteen providers, and they provide free breakfast to underprivileged kids throughout the school year. This substantially motivates the kids to attend school, and it also helps them to concentrate and perform better in class. In 2017 alone, GG successfully provided meals for 700 kids in just one school. “This was only made possible thanks to generous donors and corporate partners who gave so that children would not have to go to school hungry,” Daniel Tan, the founder added. GG aims to impact 1000 children by the end of 2018 through the Super Sarapan initiative. Mentoring plays a huge part in GG’s programs because they believe that children need someone that they can look up to and learn from. As such, Pusat Bimbingan Pelajar (PBP) was founded to provide free English and Mathematics tuition for the students in the community. This allows them to learn at their own pace and in small groups with a mentor. Mentors (both volunteers and staff) coach students, and they also share their life experiences with these children. “In PBP, we call our volunteers ‘mentors’ because we believe in mentoring the community children not just academically, but in the different areas of their lives as well,” Daniel added. GG truly reaps what they sow when the children overcome their challenges and are empowered through education to become mentors to the younger students. One of their proudest achievements was seeing the children in the community grow up through the years in their programs, and eventually becoming a part of the GG volunteer & family. 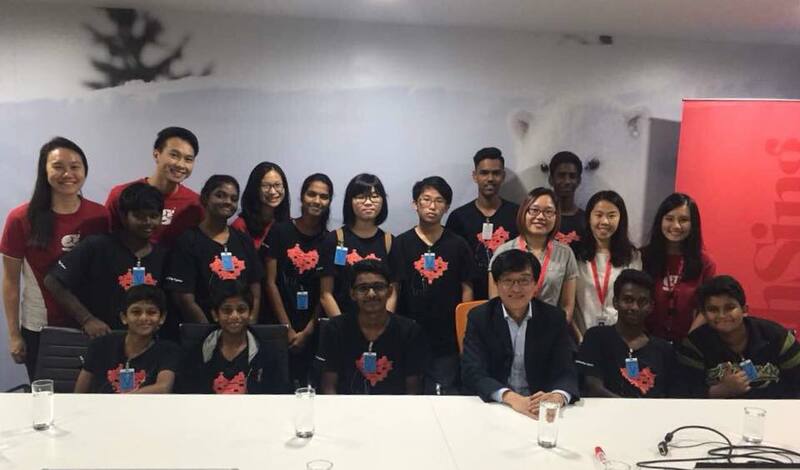 Some students like Karthik and Vigneswaren have shared their journey with GG and how they became junior mentors. Upon completing PBP, they decided to give back to their own community. “This is what we want to see, a generation that is empowered to give back to their community,” Daniel said. Furthermore, GG set up an education fund after realising that many students from underserved communities miss out on their tertiary education not because they don’t want to study, but simply because they can’t afford to. These students may not have all the As to qualify for merit-based scholarships but they tend to be stronger in character and attitude. As such, this Education Fund currently supports 6 students that are pursuing various courses of their choice like accounting, computer science, automotive skills training, and more. Newfields believes that children from low-income families deserve equal opportunities for tertiary education. They have not only funded, but they’ve also offered internships and job opportunities for the education fund recipients. Besides their corporate sponsor, GG also raises funds from the public so that more children from low-income families are able to pursue tertiary education. In the past, Prudence Foundation worked with GG to help bring financial education programs like Cha-Ching, Duit Right, and Financial Literacy to children and adults across Malaysia. 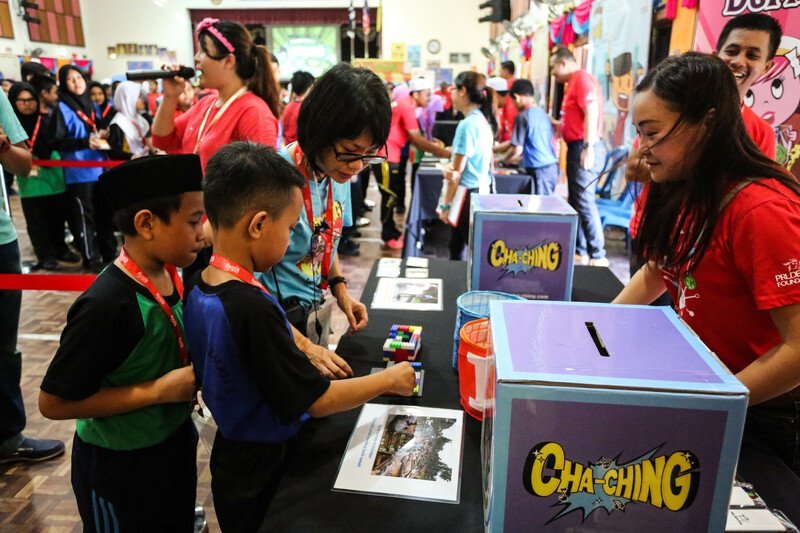 Cha-Ching is a financial literacy programme designed to equip 7 to 12-year-olds with the knowledge, tools and practices they need to make informed financial decisions to reach their own personal goals and dreams. It was developed by Prudence Foundation with Cartoon Network Asia and children’s education expert, Dr. Alice Wilder. The storylines have been written around the four key concepts of money: Earn, Save, Spend and Donate. The Duit Right program on the other hand was developed by GG, and it was sponsored by the Prudence Foundation. Last year alone, GG equipped 15,573 children and 37 adults with fundamental financial education. Aside from Malaysia, Cha-Ching is also available in various countries across Asia. In the end, all Malaysians have a role to play no matter how small. Through their work, GG hopes to inspire more Malaysians that making a difference is possible. Their concept is simple: Start with what you have, not with what you don’t have. Second, serve with your heart. What truly defines your worth is not what goes into your head, but what comes out of your heart. “When you love the people that you serve, your service will be transformational. That’s why we believe that love transforms lives,” Daniel affirmed again. You can volunteer on GG’s website to help the underprivileged. For more updates, check out on their Facebook page.